If you receive my newsletter, you’re going to get a note today that looks suspiciously like this post. But bear with me, because I’m so excited to announce that Trudy’s Diary: A Libraries of the World Mystery is finally available for pre-order! Daisy Carruthers is an anthropologist who moves to Washington, DC, for a new start following an emotionally-wrenching period in her life. After her boss’s wife and the wife’s paramour are found dead within days of each other, Daisy finds herself thrust into the investigation when both her boss and her best friend are implicated in the crimes. And when she comes across a diary and an antique novel with suspiciously similar stories and unknown origins, she knows all the mysteries are somehow connected. 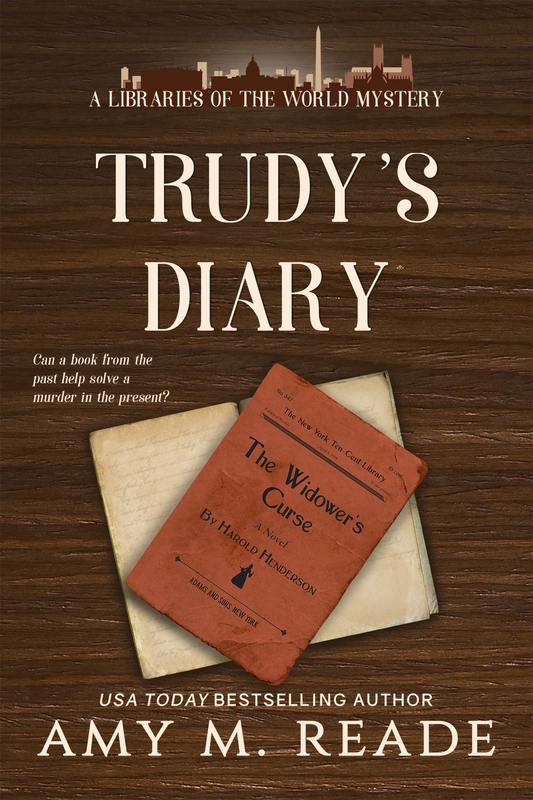 Trudy’s Diary is available for pre-order on ebook and in paperback. Click the following links to reserve your copy! Thanks for your support! I am very grateful for it.